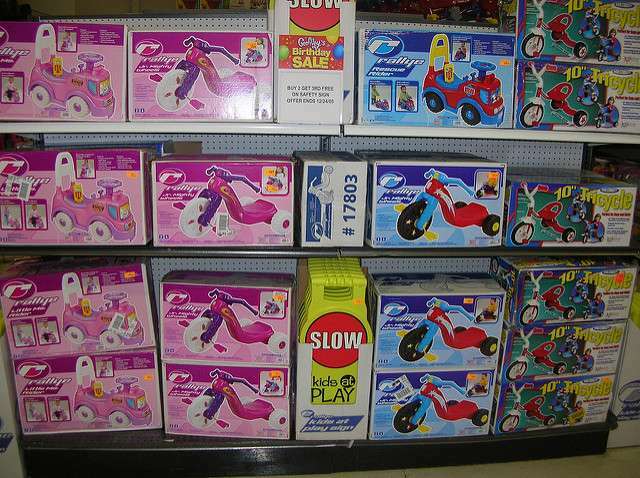 An incident at a toy shop got this young researcher thinking about practical and societal obstacles in the life of girls who want to pursue science as a career. I was at a gift shop last week to buy a present for my 12-year-old niece. Both her parents are engineers and that’s her aspiration too. Naturally, she really loves science – robotics in particular. While looking for a toy robot, a salesman came over to assist me. I told him why I was there and his reaction was incredible. He suggested I buy a nice, big doll instead of a robot. “Girls generally play with dolls, not robots. Those are for boys,” he informed me. Of course, I ignored his comment, bought what I wanted to buy and left the shop. However, this incident triggered a thought process. Why do people stereotype girls so much? It’s not fair at all. I feel that this kind of upbringing projects on the career choices boys and girls make later in their lives. There are very few women in science and technology globally, and particularly in India. According to a 2015 report in the journal Transcience, although the number of female students enrolling in science courses has increased from about 7% in 1950 to 40% in 2009, there is a leaky pipe beyond graduation. A 2010 study conducted by Indian National Science Academy (INSA) showed that about 37% of PhD holders are women, yet only about 14% end up in faculty positions. These statistics are really worrisome; a reflection of a range of issues that women scientists face while shaping their careers. The issues faced by women scientists are not very different from what other working women experience. However, in my opinion as a woman in science, research careers are more demanding and competitive. Not to mention, a career in science is a long journey – graduation, post graduation, a PhD and then post-doctoral research before you can start your own lab. Along the way, crop up several challenges as is evident from The Life of Science‘s interviews with over 50 active researchers in India. ‘Settling down’ can be unsettling! Achieving the balance between personal and professional life is a challenge for any working woman. As someone who has a PhD in science, I can confirm that doing science is not a 9 to 5 job; you have to work late hours and on holidays and weekends. By the time we finish our masters and PhD and postdoc, we are 30-32 years old (on an average). We then start looking for tenure track positions. For women, there is now an additional pressure of getting married and “settling down”. I actually do not agree with this term “settling down” which has become synonymous to getting married – because in reality, with marriage you actually end up being more unsettled that you were earlier, don’t you? For many women, marriage means relocation. They then tend to take their career decisions according to where their husband is because long-distance marriages are generally harder. Adjusting to a new family and a new city is not very easy. Because of this, women scientists generally end up compromising on their careers. Many women scientists who were interviewed by The Life of Science agree to the fact that having a husband from the same field always helps, particularly in academia, as they are able to understand what it takes to do science. Another important transition women go through is having children. There is an unwritten rule somewhere that taking care of the household and children is primarily a woman’s responsibility. We are expected to finish mundane household chores and go back to high-pressure science. It takes a toll on us and some of us start feeling like we should have superhuman qualities to excel in both. I have often seen that if there isn’t anyone else to take care of the child, for women it comes down to a choice between their job or their children. Some take a year or two off from their job, but making a comeback is a slow and tough process; a scientific career is extremely competitive. The impact of these stresses is that women scientists either choose to stay single, get married late or remain childless. They believe this gives them more freedom and they can pursue their career better. It takes a very big support system for a woman to have a fulfilling career. The system usually needs to include her parents, husband, in-laws, colleagues, mentors and so on. She needs to be very lucky to have support from all of those corners. I have seen among my own friends’ cases of parents still being conservative and skeptical about sending their daughters to different cities for the purpose of education. This is especially true in small villages and towns, where women do not generally go on to pursue higher education. The common trend there is to fix their marriage right after graduation. There are, of course, exceptions to this. These are the parents who believe in their daughters and give them the freedom to choose when to marry. After marriage, it comes down to getting support from the spouse and his parents. When this is not available, women scientists need to rely on maids and nannies to take care of household and children. This makes it easier for them to focus on their work as the burden gets shared. A day care center at the institute where they work is a big boon for all women. But even a daycare cannot fix mindsets. If a female researcher leaves their lab a little early because they have to pick up their child from the daycare, it is very common to get comments like “Oh so you leave this early every day? You are so lucky!” from male colleagues. There is an urgent need for a more supportive workplace for women scientists. Many of these issues come down to the thinking and beliefs of our society. For many years, our culture has given precedence to men over women. When a woman prioritises her professional life, this is not very easily accepted by conservative Indian communities. They blame this woman for shifting her focus from her primary role – that of being a mother and a wife. Another belief in society is that women are not good at science and mathematics. They are hence not encouraged to take up science and instead are encouraged to opt for fields considered comparatively easier for them sustain themselves until they are married off to a man who can support them. Women are generally considered dependent on their husbands. They are expected to earn less than their spouse. As has happened with scientists featured on The Life of Science, they are often asked personal questions during job interviews like “you have applied for a job in this city but your husband is in another city or country so how will you manage?”. A man never has to ever answer such question. Indeed, a successful career in science is not a cake walk. It requires hard work, persistence, dedication and most importantly passion. But gender has nothing to do with these qualities! More facilities like a daycare center or accommodation on campus or flexible work hours – all these will help them balance their professional and personal lives better. Additionally, we should be popularising women scientists and the work done by them so that young students can be inspired by them. We all know C V Raman, Ramanujan and Vikram Sarabhai. There are research institutes and science centers named after them. But how many of us are familiar with the botanist Janaki Ammal or oceanographer Aditi Pant? The popular image of a scientist remains that of an old man working in a lab. 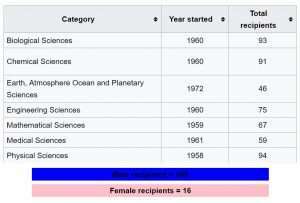 It doesn’t help that very few women within the science community receive prestigious awards and are recognised by society. Only 16 women have won a Shanti Swarup Bhatnagar award and their representation in government research advisory panels according to an investigation done by Inter Press Service is again very less – varying from 0 to 21%. All of this makes young girls think science is not for them. Most importantly, we need to create more awareness among people and change their thinking. We need to believe in girls and support them to achieve their dreams. Very nicely written. Almost each one of us wanting to pursue a career in science would have had the same thoughts at many crucial times. Felt like not the only one sailing on the boat. Kudos Trupti! !